The word Ju, in Chinese writing is composed of two characters: Man and Necessity. It means a man who is necessary for a society. A Ju must be first a scholar, a virtuous and talented person who holds the key role in the governing of a country and in the maintaining of the morals and order of the society. Confucius, whom the Chinese people glorified and named the Great Master of all generations, was the first man to systematize all the scattered thoughts of the Ju and also the first man who formed a school of philosophy in China. His career was centered on three major fields: to serve the government, to teach people, and to transmit the ancient culture to posterity. He was so ambitious in politics that he wandered from state to state to seek an opportunity to carry out his political ideals. At that time, China was in great chaos: the Chu emperor lost control of his vassal states, all the social values and order were broken down, and the war was about to break out. None of the vassal kings adopted Confucius’ political reform. Being disappointed, Confucius went back to his native land and devoted himself to the teaching of the youth and the editing of ancient documents. The Four Books are: Analects (Lun Yu), Great Learning (Ta Shueh), Doctrine of the Mean (Chung Yung), and The Book of Mencius (Meng Tsu). The Five Classics are: Book of Change (I Ching), Philosophers’ writings (Tzu Ching), Poems (Shi Ching), Book of Ritual and Etiquette (Li Ching), and The Spring and Autumn Annual (Chun Ch’iu). From these books, we can find out some major subjects: moral principles, social relations, and the art of governing. Confucius was rarely concerned about God, spirits and other world which are very important concerns of all religions. He believed in Fate. To him, Fate determines whether a man’s effort successes or fails. The word Fate may be translated either as the Mandates of Heaven or as the supernatural power that regulates all the movements of the universe. Moral education is the most important object of Confucianism. Confucius distinguished man in three strata: sages and saints, virtuous and talented men, and common people. Sages and saints, who extraordinary virtues are inborn, are rarely found among humankind. The great majority of people are common people, of which a few people can become virtuous and talented men through cultivating, perfecting, and controlling themselves. Confucius was concerned about virtue and talented men more than other strata. The virtuous man is really the Ju which is referred to in the introductory paragraph. To Confucius, a virtuous and talented man is described as the wind; the common people as the grass; and the grass bends to the direction of the wind. A Ju must have a strong will to manifest illustrious virtues throughout the world. If he wishes to do so, he has to achieve one by one the following steps: investigating things, extending his knowledge, cultivating his own personality, regulating well his family, and governing his state. Of these steps, the third one is the most important. • Human heartedness (Jen). A Ju must be generous and benevolent. He loves and respects his parents and elders, loves all his fellow people. In particular, the filial piety and fraternal love are the corner stone of the social structure. Human heartedness is supreme moral principle in human relations. • Righteousness (Yi). A Ju must be righteous. “Jen represents the human heart; Yi represents the human way.” (Mencius). Yi is a moral obligation which is unconditional and absolute. Ju must do good things for people without thinking of profits; otherwise he is only an inferior man because his action is no longer righteous. • Wisdom (Chih). According to Confucius, a Ju must be wise and understand what is right, what is wrong. He loves his soul, always remembers how he was punished for his mistakes; be liberal toward others’ opinion without completely agreeing with them; be firm but not fight; blame himself; be easy to serve but difficult to please; be broad-minded toward all and not a partisan. • Sincerity (Hsin). A Ju is faithful, makes his will sincere so that every body can trust him. Hsin is a psychological weapon to win the heart of the people. Besides, the Ju must keep the Three Bonds which were considered the tools essential for autocracy to maintain social order. “Let the ruler be ruler, and the minister minister; let the father be father, and the son son; let the husband be husband, and the wife wife.” (Lun Yu) These Three Bonds are known as the Doctrine of Cheng Ming. Cheng means rectification; Ming means name. Cheng Ming is rectification of names. A person is given a title or a name according to his position in the society. He has certain responsibilities and duties so he must behave properly in accordance with what the name of his position implies. The word “Politics” in China has different meaning to that in the Western world. It means governing through rectification. The monarch must rule with benevolence and sincerity to avoid the use of force at all costs. He should know how to manage domestic affairs so that everyone can enjoy justice. To Confucius, the mandarins and the people must be absolutely loyal to the king, no matter how good or bad he might be since the king’s power is given by the Mandate of Heaven. Mencius – a Confucius’s successor who was the second master of the Ju School – disagreed on this point. He strongly supported the theory of justified rebellion against the wicked ruler. To him, the Mandate of Heaven was withdrawn from a corrupted dynasty whenever a successful rebel arose. This was the most progressive viewpoint in those days. The art of governing was written in the Nine Cardinal Directions which are not different to the moral principles aforesaid. Since China was unified and a powerful monarchy was constituted, Confucianism has become the dominant philosophy and an effective tool to consolidate the monarchy as well as to maintain the order of the society. It underwent several stages of intellectual development and was refined in the tenth century AD. From then on, it has been the unique teaching in all national and private schools in the whole country. After seizing power in 1949, Mao Tse Tung and the Communist Party initiated the Great Cultural Revolution in order to destroy Confucianism and to replace it with Communist ideals. But for the last 40 years, Communism has not been able to replace Confucianism because the latter has permitted the Chinese people life in all aspects. 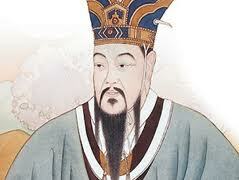 Today, Confucianism is somewhat well known to our Western world. Apart from some elements that are considered feudal and outdated, the philosophy – modified and adapted to changing circumstances – are still precious and indestructible. It will be very useful to those who wish to devote themselves to a noble cause, those who have ambition that the old people should be able to live in peace, all friends should be loyal, and all young the young people should love their elders.